The sunlight breaks through a crack in the clouds to light up the sky near Seaside Oregon. 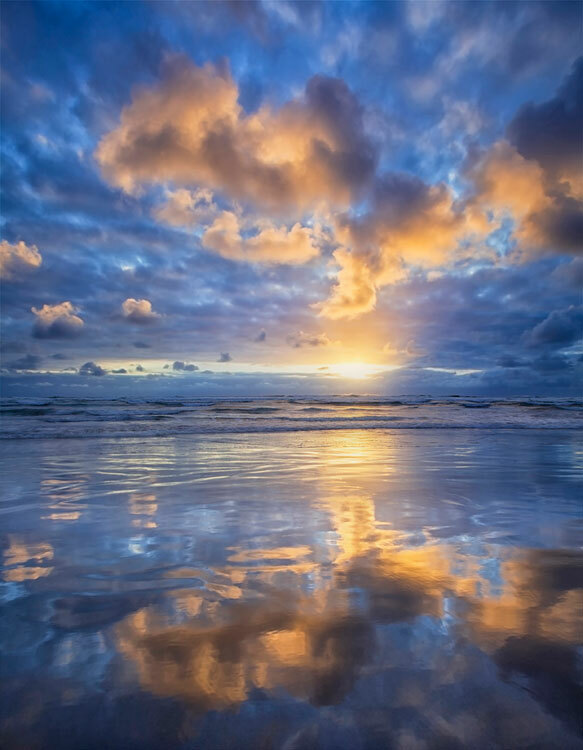 The smooth, wet, hard-packed sand, found on many Oregon beaches, created an incredible reflection. Photo © copyright by Richard Bitonti.